Hello and welcome to exampundit. 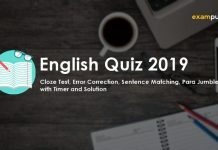 Today we are sharing a General Awareness Quiz for IBPS RRB PO & Clerk 2018. 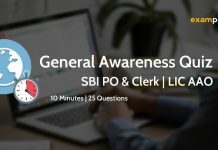 The following set of General Awareness Quiz for IBPS RRB PO & Clerk 2018 contains questions from Stock GK, Banking and Financial Awareness and Current Affairs. 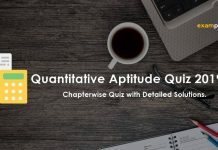 The following set of General Awareness Quiz for IBPS RRB PO & Clerk 2018 has 12 questions with 5 minutes time. 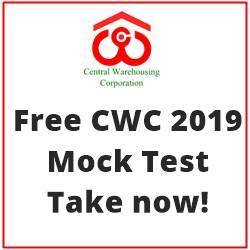 The following questions are created as per the recent trends and level of IBPS RRB PO & Clerk General Awareness 2018. Which of the following is NOT a category of NBFCs? According to RBI’s Internal Ombudsman Scheme 2018, banks with over how many branch have to have internal ombudsman? The Reserve Bank of India (RBI) on September 3, 2018 asked all scheduled commercial banks with more than 10 branches to appoint an Internal Ombudsman. However, the apex bank excluded Regional Rural Banks from its directive. International Day of Charity is observed on _______. National Nutrition Month is observed nationwide in which month? How much amount of loan agreement did India sign with Asian Development Bank to improve over 400 kilometers of state highways in Karnataka? Nicosia is the capital city of _______. Gorumara National Park is located in _______. International Women Entrepreneurs Summit was held in _______. it is a mandate on that bank to pay. it is a mandate on the Government of India to pay. it is a mandate on the State Government to pay. it is a mandate on the RBI to pay. it is a mandate on the Finance Ministry to pay.